The Fall 2018 collection was inspired by Suzie’s travels to China in April 2018. 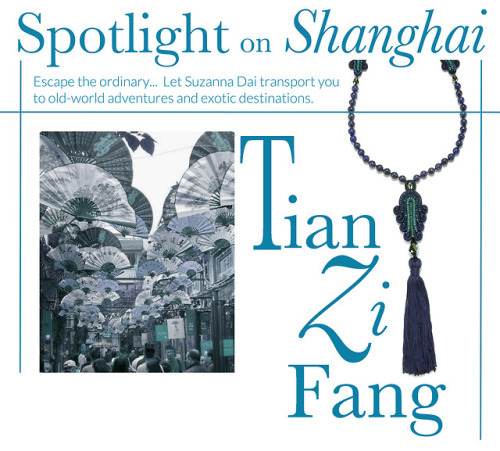 One of her favourite places she visited was an arts district in Shanghai dating back to the 1930s, called Tianzifang. Named in commemoration of Tian Zifang, an ancient Chinese painter, this lively cultural district stays true to its artistic roots today. It has been compared to NYC’s Soho neighbourhood and is filled with art galleries, design studios, and trendy cafes. Shikumen residences line the alleyways of the Tianzifang district and are the inspiration behind the eponymous collection. 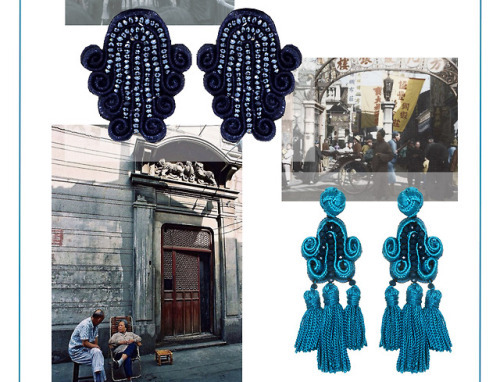 The curved soutache cords used on the earrings and pendants mirror the arched stone entryways common to the area. Suzie combined these shapes with traditional Chinese knotwork and tassels to make her own unique designs.